A virtual or digital assistant is represented in this stock photo seeking to cash in on hot concept. Part of succeeding as a stock photographer is in creating imagery that is in demand…and ideally, images that are both in demand and have less competition. 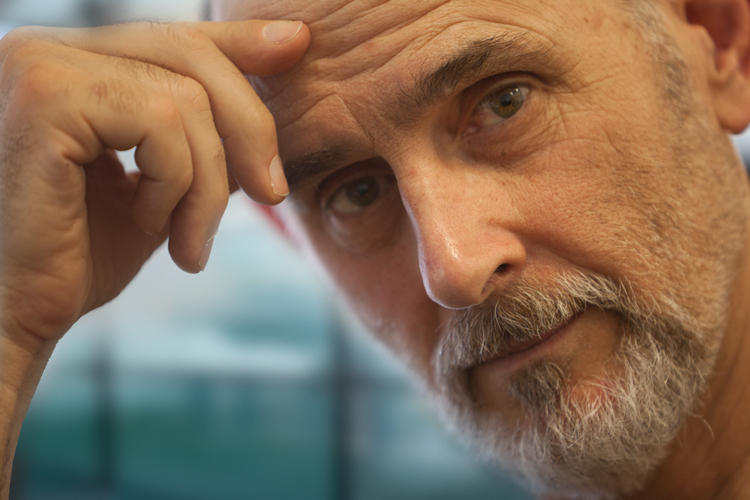 One way to achieve that is by creating concept images that for new, important ideas. 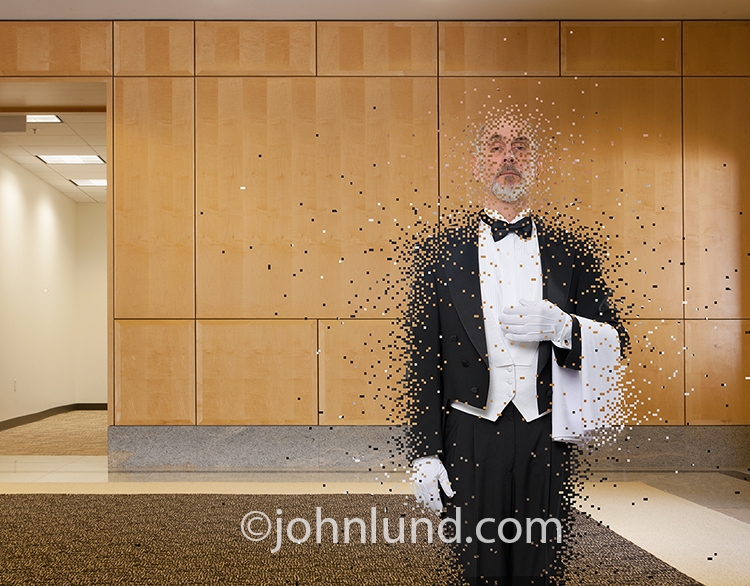 This image of a pixilated butler was created with just such a concept in mind; the digital or virtual assistant. I became aware of the growing importance of virtual assistants in a recent Kickstarter campaign I was involved in. Successful crowdfunding campaigns invariably make extensive use of virtual assistants...and crowdfunding is hot (hmmm...more fodder for stock ideas)! Also, as the world increasingly moves towards the cloud the use of digital and virtual assistants will no doubt increase…and the need for imagery that can advertise and editorialize about such assistants will also ramp up. As I thought about how to illustrate the idea of a digital assistant I thought of a butler. A butler is an iconic symbol of service. Pixels are iconic symbols of a digital world. Combine them and you have a perfect metaphor for virtual assistants! In my files I already had a photograph of myself as a butler. I stripped that image out and put it into a corporate lobby setting. Then I “pixilated” the image by taking small squares out of the butler and repositioning them. The butler can be seen as forming from the cloud, or dispersing into a networked environment. The image was composed to allow for cropping to square, vertical or horizontal uses with ample copy space for the needs of art directors, designers or photo editors. The result is a flexible image that can illustrate a wide variety of concepts around digital, personal and virtual assistants. Time will tell if it actually becomes a successful stock image or not.